What is Julmust? Julmust is a Swedish soft drink that could be described like something of a mix between Root Beer and Coca-Cola. Julmust is one of the most consumed sodas in Sweden, especially during Christmas and Easter when it without question the number one soda on the Swedish market. Julmust has also been a problem for Coca-Cola since the sale of Coca-Cola usually drops by at least 50% during december. So there is much to know about Julmust. So what is Julmust, keep reading and we’ll tell you all about it. Julmust is a Swedish soft drink. The name Julmust translates to Christmas (Jul) and Juice or must which is what you call the not yet fermented juice from fruit meant for wine or cider production. There are no actual must in Julmust. 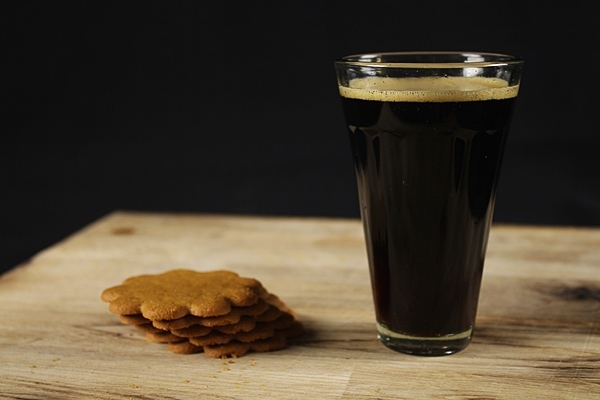 Julmust was invented by the Swede Harry Roberts meant as an non alcoholic alternative to beer and porter which was the traditional drink during Christmas in Sweden. Harry Roberts got the recipe from Germany where he studied chemistry and have heard about the recipe. When launched the sale for Julmust was slow but in 1922 there was a vote about banning alcohol in Sweden, this changed the laws on selling and producing alcohol which made the non alcoholic Julmust a sales hit. 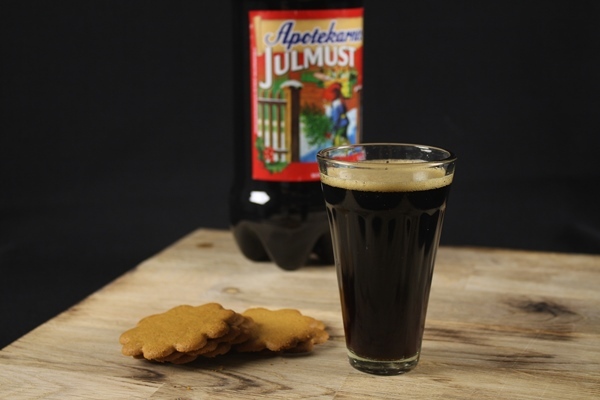 Julmust is a dark, sweet soda that has many similarities to both Coca-Cola and Root Beer when it comes to taste. By many Julmust is considered sweeter than most sodas. This could also be because Julmust is not very acidic. The recipe for Julmust is secret and is owned by Roberts AB but there are some known flavorings in the must. Besides sugar and water there is hop extract and malt. There spices in Julmust is a secret that only a few persons in the world know. There are many producers for Julmust in Sweden and most food retailers have their own brands as well. Two of the biggest Julmust brands in Sweden are Nygårda and Apotekarnes. The soda is produced using a Julmust extract that all producers are buying from Roberts AB. Then they mix the extract with water, sugar, preservatives and additional spices if they want to. Then the Julmust is carbonated and filled in plastic or glass bottles. This means that even though the extract for all Julmust is made by the same company each Julmust has its own flavor. The last few years there have also been new variations of Julmust coming to the market. Some are matured in bottles, have different spices and there are also some that have been matured on oak casks. Roberts AB is the company behind all the Julmust in Sweden. Roberts AB was founded in Örebro in Sweden in 1910 by the inventor of Julmust Harry Roberts and his father Robert Roberts. The company is still privately owned by the Roberts family. The recipe for the Julmust is a well kept secret and is only known by a few persons at Roberts AB. Roberts AB delivers the Julmust extract to more or less the complete Julmust market in Sweden. Besides being the supplier of Julmust extract in Sweden Roberts AB also supplies other flavors for the soda industry. Well it is called Julmust (Christmas-must) so most of the Julmust is consumed in december. The Julmust has around 50% of the soda market during december in Sweden. Most of it is consumed during Christmas but the drink is appreciated during the whole of december. The is also Påskmust (Easter-must) that is sold during Easter. Here the tradition is not quite as strong and the season is shorter but it is the preferred non alcoholic drink during this holiday as well. There used to be Julmust available all year round but then it was named just must. Now it is only available during Christmas and Easter. Julmust have been an annoyance for Coca-Cola for a long time. Since the sale of Coca-Cola drops by 50% during each december Coca-Cola have tried to get their share of this market. There have been several attempts by Coca-Cola to buy the rights to the secret Julmust extract recipe but Roberts AB have refused to sell. There have also been various ad campaigns for Coca-Cola to try to make the Swedes switch to Coca-Cola instead of Julmust but the Swedes can be just as stubborn as the owners of the Julmust recipe. Coca-Cola have also produced their own Julmust called Bjäre Julmust but the product have since then been taken away. One fun fact as an outsider is that the Bjäre Julmust was even sold in McDonald’s in Sweden. Can you buy Julmust outside Sweden? 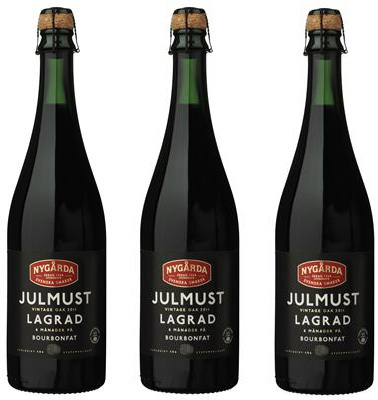 There are small chances of finding Julmust outside Sweden, the best bet is speciality shops or IKEA that have been selling both mulled wine (Glögg in Swedish) and Julmust. There are some sale of Julmust sold in the Swedish talking parts of Finland. Besides that you’ll have to come to Sweden to drink the soda that each year beats Coca-Cola. Here at Ateriet we love the Swedish Christmas Food and we are currently writing about some of the classic drinks and foods of the Swedish Christmas. 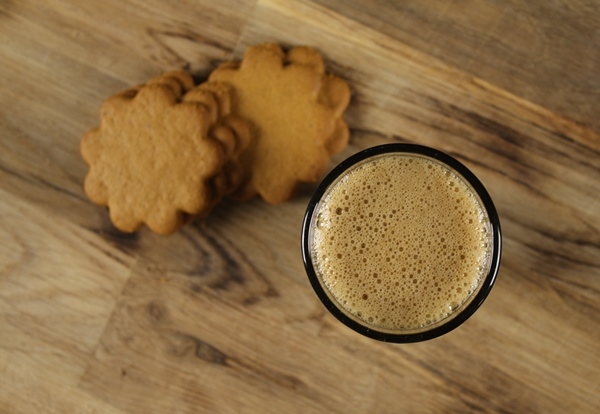 This Julmust article is the first one out but make sure to check back for more. All our articles on Swedish Christmas will be found here.